Bluetooth Smart Watch WristWatch for Just $10.86! Ships FREE!! You are here: Home / Great Deals / Amazon Deals / Bluetooth Smart Watch WristWatch Just $10.86! Ships FREE! 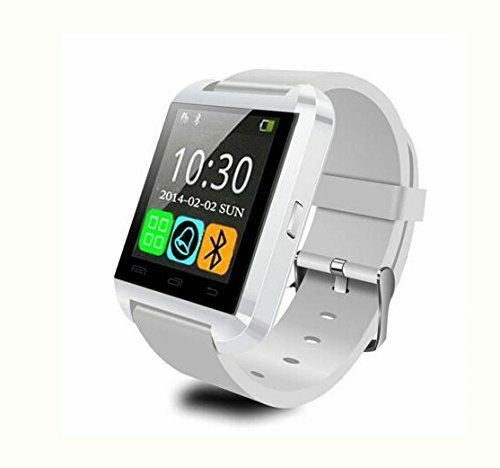 Bluetooth Smart Watch WristWatch Just $10.86! Ships FREE! Check out this amazing deal on a smart watch! Head over to Amazon and order the Bluetooth Smart Watch WristWatch for Just $10.86! Shipping is FREE! Time / Date / Week / Battery state display. Answer or Dial calls from your wrist. Display the number or name of incoming calls. Answer or Dial calls from your wrist.